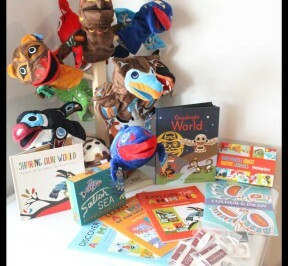 We are happy to announce we now have Native Northwest puppets, books, games, and puzzles for use in the primary presentations. Kindergarten thru grade 2 will now enjoy a special activity table area. With the amazing artifacts, engaging displays, beautiful art, educational PowerPoint presentation, and the follow-up activity package its makes this a great Aboriginal Education resource for all ages. *BC Artifacts and the Mobile Museum Tour are also proud to announce that we can now supply Native Northwest products and educational resources thru the BC Artifacts Website.